Chiropractic is a system of health care that seeks to restore and maintain optimal health for the lifetime of the person. There are 2 main components to the Chiropractic approach to health. These are all signals from you body that tissue is breaking down. The ligaments, tendons, joint surfaces, discs, and even the bones themselves all begin to break down and degenerate when a misalignment occurs. Even a slight misalignment in the spine will cause some degree of fixation in that area. This means that those spinal bones in those areas become stuck together and lose their proper range of motion. Chiropractors release these fixations to help stop that degeneration process so the spine can maintain its proper health throughout your lifetime. 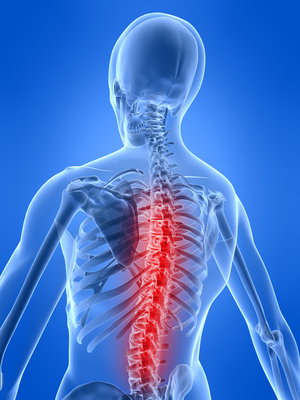 Chiropractors are trained to locate misaligned spinal bones that are interfering with the nervous system and restore them in a safe and gentle way back to their proper alignment. While Chiropractors never claim to heal disease or disorders, there are thousands upon thousands of testimonials of people who have had all sorts of recoveries from the above conditions through Chiropractic care. This is because your body knows how to heal itself and how to stay healthy, and it almost always will as long as it has the right tools and is not interfered with. By keeping your spinal bones in their proper alignment and through maintaining proper posture, Chiropractors assist your body in restoring and maintaining optimal health throughout your lifetime. Call Life Performance Chiropractic today to schedule an appointment and help enable your body to function at its optimal health!